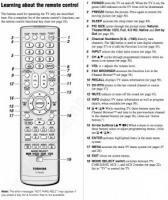 The Anderic RR90325 remote control replaces many original equipment TOSHIBA TV remotes. It is an exact replacement of the original Toshiba CT-90325 and will work right out of the package for compatible Toshiba TV models listed (but not limited to) without any programming. The remote includes popular features like MENU, INPUT and of course, all other buttons for normal operations. 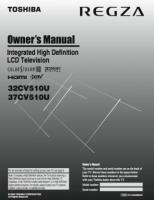 For detailed information on how to use this product with your TV, please refer to your TV's operating manual. 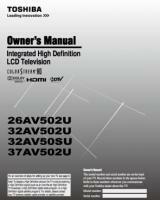 The replacement for original TOSHIBA CT90325 Remote Control is in-stock and ships within 24 hours. 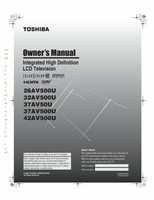 The replacement for original TOSHIBA CT90325 Remote Control carries a 60-Days Warranty. Got exactly what I needed at a reasonable price. by Lawrence on January 13, 2017. Works like new! No problems at all! by Anonymous on April 15, 2013.
by Jose on March 18, 2019. So far, so good ...and quick response and delivery time !!! by Pat on January 22, 2019. 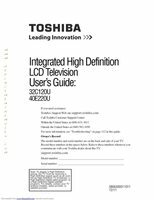 Quick service and exact remote original equipment for my Toshiba TV. by Lorraine on December 28, 2018.
worked on my tv right out of the box!! very happy with this product! by jim on November 01, 2018. Everything worked out fine. It was in good condition, it operates the TV fine and delivery was prompt. We were well satisfied. by Judy on April 12, 2017. I ordered this replacement remote for my dad as he had misplaced his. He loves it. He says it is an exact match and does everything he needs it to do. Not to mention the fast shipping and reasonable price. Will purchase again if I need to. by Lekitta on January 21, 2017.
by Alan on January 05, 2017.
by RONALD on December 26, 2016. I did think it would have the Toshiba name on it. It didn't. But works just as well. Love the ease of getting it. Works just like the original one. by Cynthia on September 21, 2016. Should be a perfect rate!!! The remote is new and it handles great! It is nice to have one that goes with the T.v. ! Thank you for a great product!!!! It also arrived early! If I ever need another one I know where to go! by DL on August 30, 2016. Best thing you can do is to get an authentic product for the item you have. take it out it's package put the batteries in and you are good to go, no problem. by Wayne on August 20, 2016.
by Keith on August 19, 2016.
by Robert on July 28, 2016. So nice to have a remote that allows me to access the main menu and make adjustments to picture and sound quality! Shipping was incredibly fast. That's for a great product and anyone looking for that replacement remote this is the place to shop! by Paul on July 20, 2016.
by Tris on June 06, 2016.
by fred on May 25, 2016. We needed a new remote for the tv. The one ordered was a perfect replacement. by Anonymous on April 17, 2016.
by Anonymous on September 17, 2015. 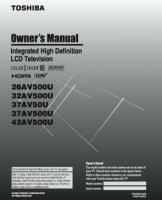 Excellent - easy to order - glad we could find it, since it was not on the Toshiba site. Good prices. by Anonymous on June 29, 2015. 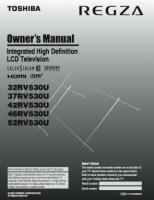 Use the product to control my television set remotely. by Anonymous on May 19, 2015.
by Anonymous on May 14, 2015.
the replacement Toshiba remote we ordered was just what we needed. Arrived quickly and works perfect. by Anonymous on April 23, 2015.
remote is an exact replacement for toshiba tv and works good. by Anonymous on March 30, 2015. 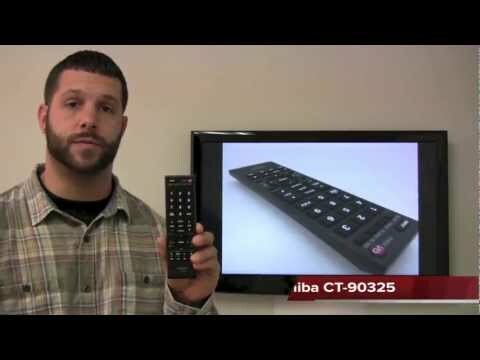 We find the new replacement Toshiba Model CT90325 Remote Control to handle very comfortably and works great. by Anonymous on June 17, 2014. I use the remote as a replacement for the original. I recommend it for anyone who has misplaced / lost a remote. by Anonymous on April 03, 2014. Product exactly as advertised. Work right, the first time. by Anonymous on March 20, 2014. The website was easy to navigate, the item was shipped quickly and it works!!! I cannot think of any negative to this transaction. by Anonymous on March 12, 2014.
by Anonymous on February 20, 2014. I would recommend your company to all my family and friends. by Anonymous on February 12, 2014.
by Anonymous on January 20, 2014. 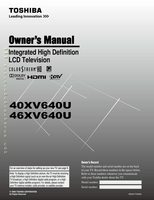 EXACT replacement of original remote. by Anonymous on January 05, 2014.
remote worked as well as a new one. by Anonymous on December 14, 2013. The product is very good. Never had a problem with it. I would recommend them to any one who needed a new remote. by Anonymous on October 24, 2013.
by Anonymous on August 16, 2013. Remote was brand new and in working order. by Anonymous on March 16, 2013. It's a replacement remote. I found it. It works. by Anonymous on April 10, 2016. Exact same remote that the TV came with originally. by Anonymous on May 03, 2014.